In the capital of Goa - Panaji lies the historic Royal Chapel Of St. Anthony. It is situated towards the west side of the tower of St. Augustine in the state. This 17th century church is dedicated to the national saint of Portugal, Saint Anthony. The Royal Chapel Of St. Anthony was closed in 1835 but opened again in 1894 after some renovation. It was inaugurated again in 1961 after complete restoration done by the Portuguese Government. 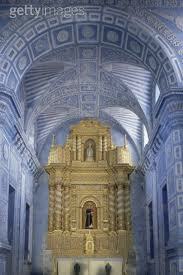 This tiny chapel is semicircular in figure and faces the east and has a fortress like appearance. The arched doorway is flaked with twisted pillars and the shutter has the Augustinian icon of the pelican feeding its young.